With 50 lights to the string spaced 4 inches apart, this light string is manufactured on green wire and is about 17 feet long with approximately 16.5 feet of lit length. Take advantage of running up to 43 strings of lights in series for easy installation and take down when the season is over. 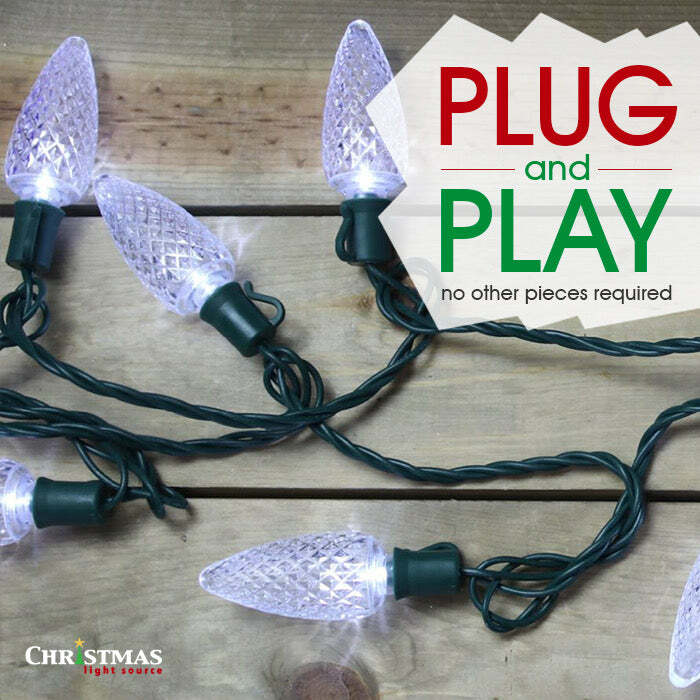 Our customers are taking advantage of up to 90% lower electricity usage with these light strings to light up their parties all year. I bought 6 different colour sets. Shellie did a good job of choosing the lights she stocks. The colours are very true. I especially like the pink and blue. It's hard to find a pink set that doesn't look like purple or somewhere in between. 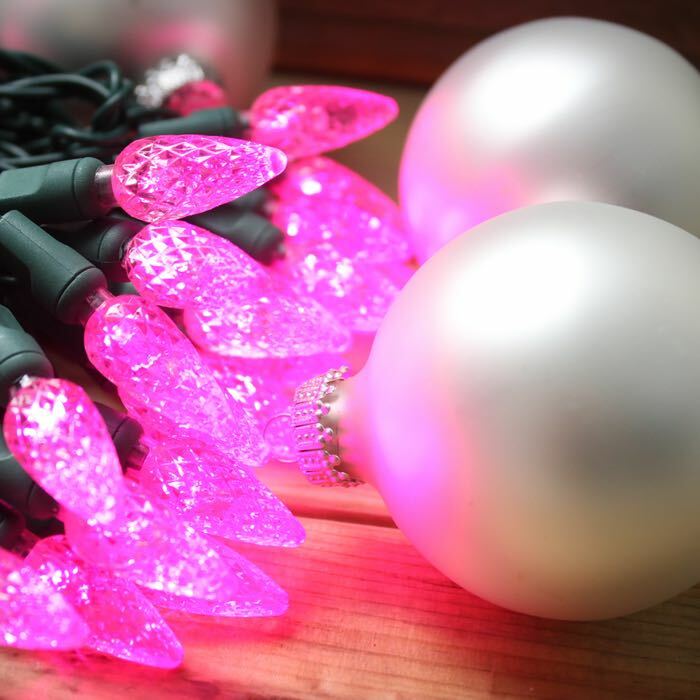 But the pink LED light sets she sells are a true pink and very pretty. Sometimes blue LED light sets are on the dim side. Her's are bright. It's also hard to find yellow in LEDs that don't look like orange, but her yellow LED sets are pretty good. The order went perfectly and arrived earlier than expected. So far I'm pleased with them and would recommend that people support Shellie's independent business rather than a corporate box store (where the prices are usually considerably higher). Her prices are very reasonable. As I said, I'm very pleased. Thank you. I purchased these lights for a project for Relay for Life for the Cancer Society. I put them on a Christmas Tree for a display for cnacer patients in memory/honor of with ornaments with their names on them. The pink and purple lights look really good together and at night.